Today, there is no such thing as a general “funeral service”. People are choosing to plan ceremonies or tributes that are more reflective of the person and fit the lifestyle of the family. Created in 1999 by a group of like-minded individuals, Serenity was the first of its kind to not be corporately or independently owned. There is no one owner of Serenity but instead an elected Board of Directors that governs the company. As for our wonderful team of staff, we encourage you to visit any one of our locations and meet us. 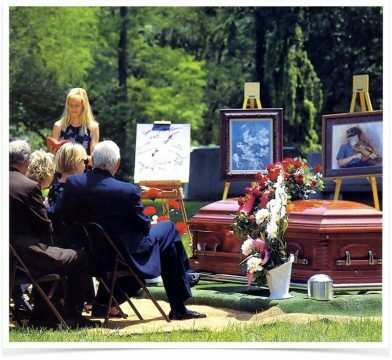 Serenity’s staff of licensed Funeral directors and embalmers are professional, compassionate and ready to serve your family during this difficult time. There is no cost or obligation, simply stop by and visit us at one of our locations across Alberta to inquire about all that Serenity has to offer.